Our language courses in London King’s Cross are held in a modern and recently refurbished school, which is conveniently located for central London, adjoining the Nido Student Accommodation complex on Pentonville Road and only a short walk from King’s Cross underground station. The school offers 17 classrooms incorporating state-of-the-art interactive white boards and integrated IT for online learning. The centre has been designed with a focus on providing cutting edge study and leisure facilities. 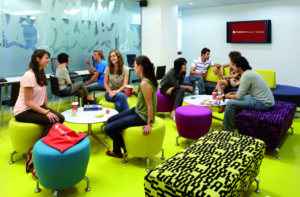 Cactus offers a range of language courses in Kings Cross including French, Spanish, German and Italian. Our 10-week evening courses fit easily into the working week and guarantee an enjoyable and effective language learning experience.